Previously, the dev team announced an intense programming session. Dan Connolly demonstrated how RHOC balance in the Ethereum contract will be part of the genesis block at launch. Greg Meredith discussed the major focus points of cost accounting: short circuits flow, denial of service attack, features.md, and code cleaning. He informed the community of the board’s engagement with Arterial, which does digital asset management for fine arts. Progress continued on LADL and behavioral types. Greg mentioned embarking on a six-week seminar on LADL and behavioral types. The hangout closed with a recap from Greg about his trip to the Binance blockchain conference in Singapore and an update from Jonathan Kochmer on RChain Asia. This week, Kelly gives the development update; afterwards, she shares thoughts with Greg on block store stability. Ian Bloom is working on re-branding RSong backend name to reflect its generic use case, encouraging members to add input in the RSong Discord channel. The European co-op considers adding an Android frontend to Dan Connolly’s voting system. Greg mentions a recent conversation with PeerTracks, a blockchain streaming service, in which they discuss the value proposition of music on the blockchain. 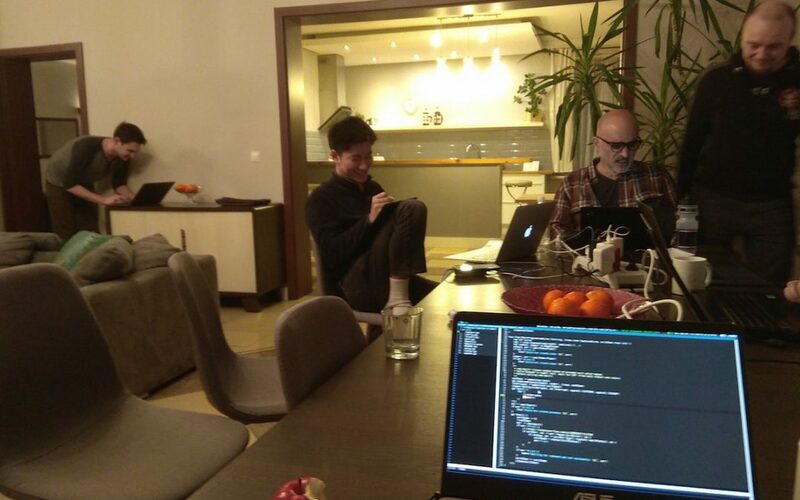 The Chinese community commenced node testing sessions last week with the help of Will Qui. Finally, Greg interacts with community members on the proposed economic incentive mechanism to engage validators, sharing his optimism about Reflective Ventures trading RHOC to meet their business obligations. Please share your ideas for RSong rebranding. Place your vote on the options available on the RSong discord channel. RChain dev team in Warsaw. Greg expects Arterial to join the community call to discuss RChain’s role in helping them reach an MVP. Meanwhile, he expresses increasing interest regarding the RSong backend as digital asset management on other kinds of applications, such as eBooks. Ian Bloom discusses rebranding RSong to better reflect the generic use case for its backend architecture, rather than focusing on it as a music streaming dApp. A few names received upvotes for rebranding so far. Members are encouraged to place their votes on the RSong Discord channel. 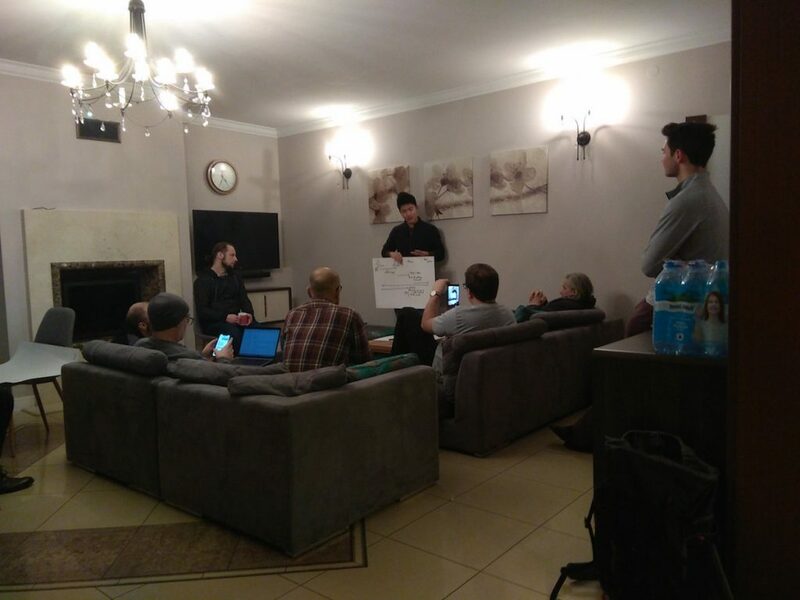 RChain Europe held its weekly community call. This week they discussed the creation of an Android frontend on Dan Connolly’s voting system. This would help demonstrate the expression of will and sentiments on the RChain platform with respect to cultivating a relationship with the UK’s Labor Party. Greg and Fabian had a conversation with PeerTracks, a blockchain music streaming service. They discussed the value propositions of music on blockchain. Progress is being made on the educational front. Jonathan, Jocellin, Hong Jong (HJ), and Stella attended a blockchain conference, making solid connections. They are in preliminary discussions with the Director of Education in Seoul to replicate what was done at the national level. Two Korean universities have recently shown interest in having Rholang classes. Peter Finn is in touch with one of the premier technical educational institutions. With respect to partnerships, they are in discussions with a national telecom provider. There is also talk of creating a social network that is more user-friendly than Facebook and Steemit. The RChain community in China commenced its node testing session last week with the help of Will Qui. Will is having issues with node testing due to hardware limitations, but Joshy is helping him by setting up accounts on Digital Ocean, which is suitable for a class of twenty-five members. They looked forward to having a Korean language node testing. Greg informs the community that physical threats of any kind to any member of the community in our channels is unacceptable and will be followed by swift response to maintain order. This is to follow up of a recent physical threat posed by a member on Telegram. Lately, there have been concerns about the amount of RHOCs being dumped by legitimate parties in the community. Greg is optimistic that if RHOCs are being traded by Reflective Ventures, it is to fulfil business responsibilities to portfolio companies. He sees it as a fiscal opportunity to be harnessed by community members to offer solution that will help keep the value of RHOC relative to other tokens.